Kids on your Christmas shopping list? We have books for them! 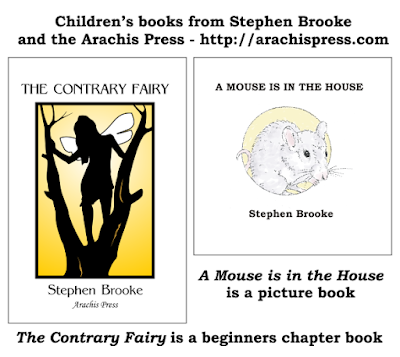 Stephen Brooke's 'The Contrary Fairy' is a chapter book for young readers, telling of the sprite Peri's attempts to keep her thoughtless carefree friends safe. 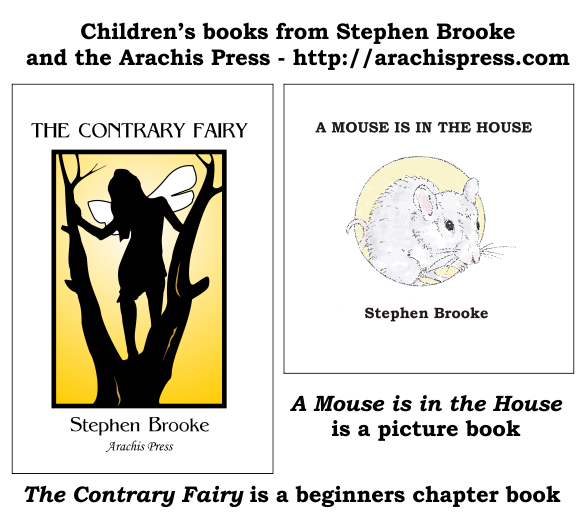 'A Mouse is in the House' is a picture book in rhyme, featuring the author's illustrations. Both are available at our own store (http://www.lulu.com/spotlight/arachispress) and at most retailers. Full cover for ASANAS, still set for release on June 16 (but as ever it should show up at some retailers before that date). We are at the point of getting all our files to the printer and arranging details of distribution. 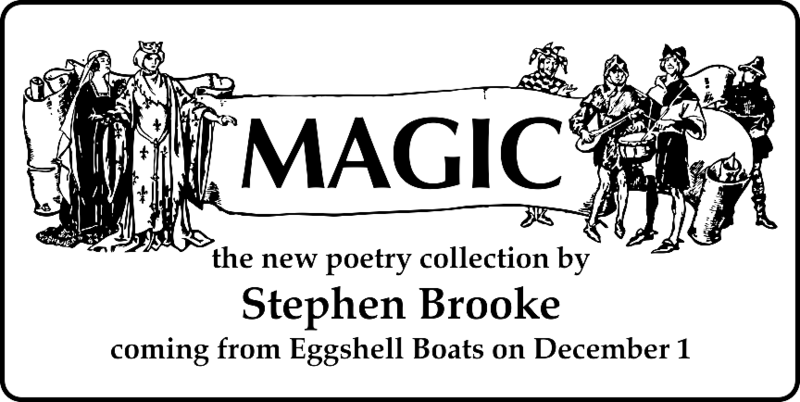 A revised 'Fifteenth Anniversary Edition' of our first book, Stephen Brooke's poetry collection, PIECES OF THE MOON, has also been released. 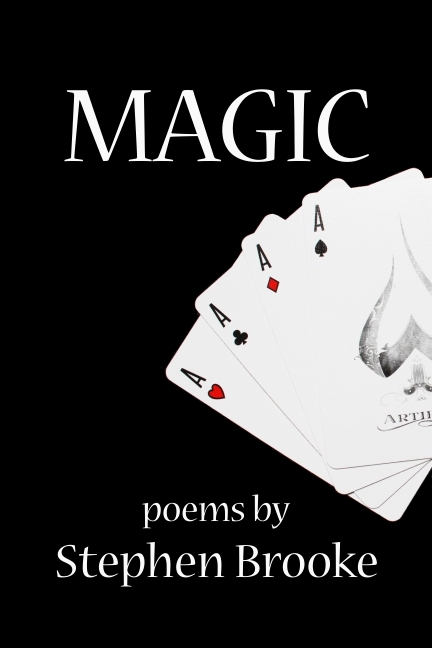 Available in the new version, both print and ebook, right now directly from Arachis Press, but it may take some time before all the retailers have the new edition for sale. 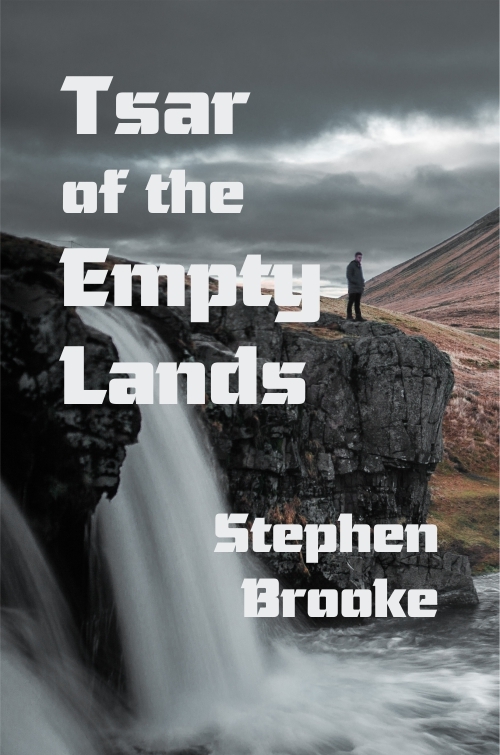 We created a little ebook sampler (epub) of Stephen Brooke's adult fantasy novels, one chapter each for all thirteen of them. Free to download, give away, whatever. And, of course, if you like them, you can always buy copies! 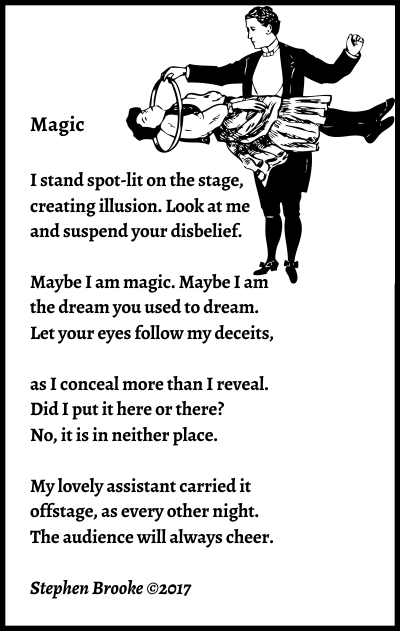 We made this, by the way, with the Open Office add-on, writer2epub. Does quite well, but for our commercial releases it's probably safer to stick with the converter at our distributor's site. This summer marks (in any meaningful sense) the fifteenth anniversary of Arachis Press. Yes, we used a different name the first two or three years. Yes, the first book was initially printed locally for sale at poetry readings, rather than going to the POD (via Lulu) approach we have used since. 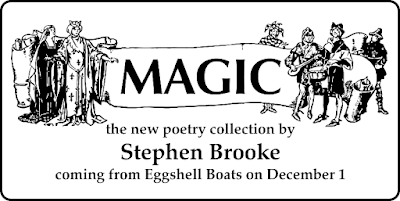 But 2018 does mark fifteen years since ‘Pieces of the Moon,’ the first chapbook of poetry by Stephen Brooke, was published. So, it also marks the beginning of our publishing enterprise. We have learned a great deal in that time! Certainly, our books look better, are edited better, and so on (revised editions over the years have fixed many of the early mistakes). There was, admittedly, something of a gap between that first book and the second, the novel ‘The Middle of Nowhere,’ but we have published new books every year since. We shall continue to do so. Primarily my own books (i.e. written or edited by Stephen Brooke), to be sure, though we are quite willing to publish work by others. That will be addressed eventually, not in this blog entry. I have done a new, revised edition of that first book, to appear later this year. Many of our books could use a new round of editing and proofreading to address small problems. Nothing major in any of them, to be sure; I do not intend to rewrite anything! 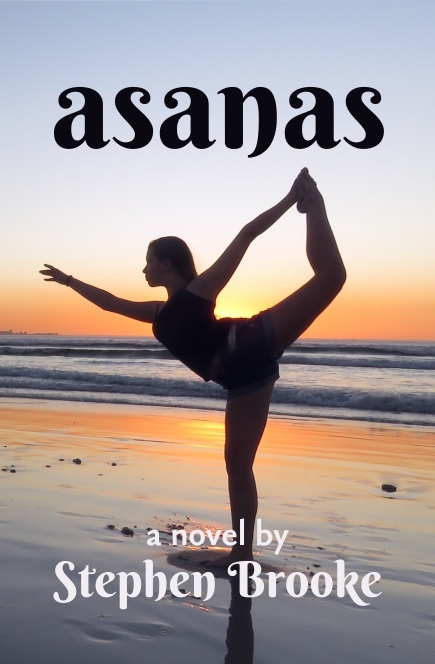 And do expect three new titles to see publication yet this year, beginning with ‘Asanas’ on June 16. 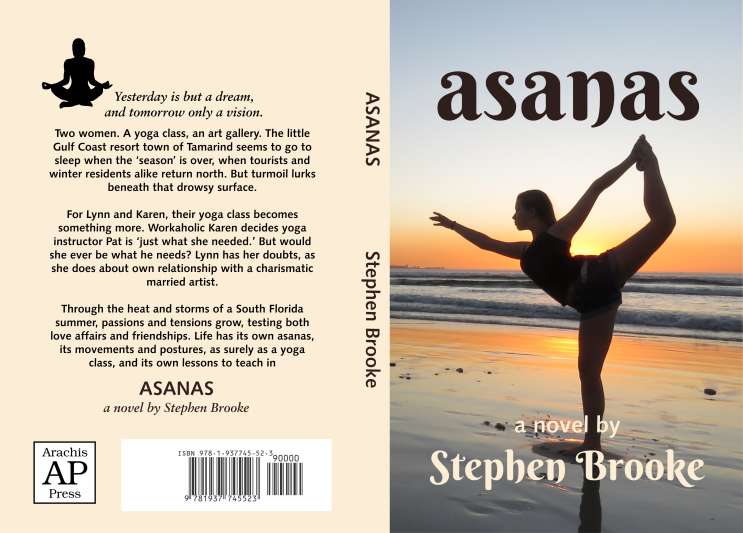 ASANAS, the new novel from Stephen Brooke, now has an official release date of June 16, 2018. 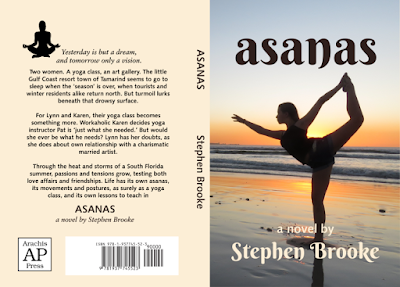 This is a contemporary story set in southern Florida, revolving around a yoga class and the women who attend it. More information coming soon. The latest fantasy adventure novel by Stephen Brooke, WOMAN OF THE SKY, is officially released. This is the final book of the Mora Trilogy. Find it at Arachis Press or our store at our distributors site. 'Woman of the Sky' is also available at most retailers, including Amazon. 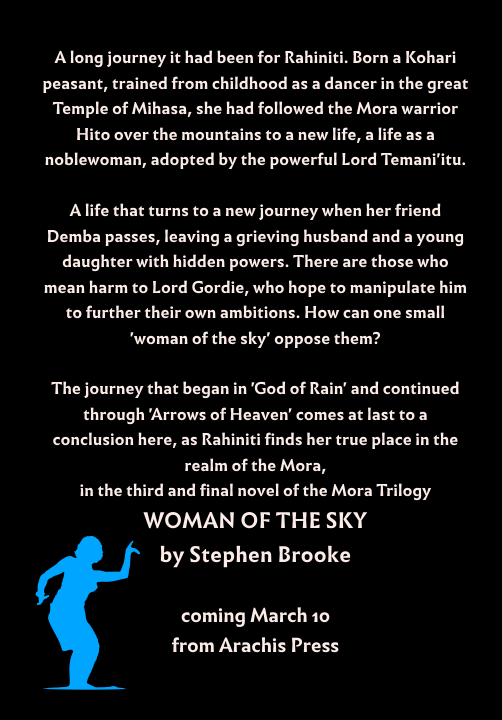 To mark the release of the final novel in Stephen Brooke's Mora Trilogy, WOMAN OF THE SKY (officially out on March 10), we are giving away the first book in the series, GOD OF RAIN, for three days only. Download it in EPUB and/or MOBI, depending on your e-reader of choice. The events in GOD OF RAIN follow after those in my Malvern Trilogy, but those novels need not be read to enjoy the adventures of warrior-turned-trader Hito through encounters with crocodiles, head-hunters, cannibalistic fairies, and a certain dancing girl. No strings attached, nothing to sign up for, but a review somewhere might be nice (assuming you like the story!). And do consider purchasing WOMAN OF THE SKY and the second Mora book, ARROWS OF HEAVEN.